The Cedars Sinai-incubated company plans to launch its first product in Q2 2019. 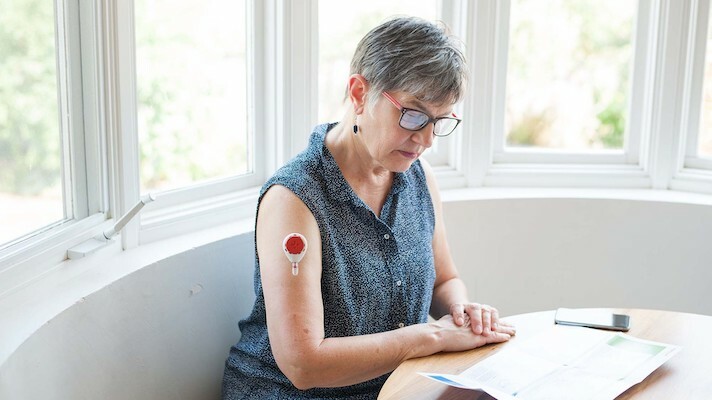 Tasso, a Seattle-based startup working on bringing blood testing to the home via a wearable patch-like device, has raised $6.1 million in Series A funding. Vertical Venture Partners led the round, with additional participation from TechStars and Cedars Sinai. This is the first major VC round for the company, but it has previously been supported by $13.1 million in grant funding from DARPA, NIH, and the Defense Threat Reduction Agency. Tasso's first product, Tasso OnDemand (previously known as Hemolink), is a blood collection device that can be mailed to the patient, used at home, and transmit the data directly to a lab for processing. Rather than using a needle, the patient collects the blood through a patch worn on their forearm, which can be configured to collect whole blood, plasma, or dried blood spots. Tasso was incubated at Cedars Sinai, and as of December 2017 already had a DoD contract, a research contract with Merck, a distribution agreement with lab company Insource Diagnostics, and a pediatric trial in progress at Cedars Sinai. The product is being marketed for clinical research, but also has applications in the clinic or for pharmaceutical companies. The funding will be used to scale Tasso OnDemand in preparation for its Q2 2019 launch. The startup reports significant commercial interest, and intends to use some of the funding to hire additional employees. The sensational scandal that was Theranos may have briefly scared investors away from the blood testing space, but they seem to be ready to wade back in. Just last week Israeli blood testing company Sight Diagnostics raised $27.8 million. And last year smartphone blood lab startup 1Drop Diagnostics raised $4.25 million. Other companies, like Seventh Sense Biosystems, Everlywell and myLabBox, are also looking to reinvent home blood draws and testing, while startups like inui Health and Mira have also suggested that their urine testing platforms could be repurposed for consumer blood testing in the future. “We are excited to back the exceptional team at Tasso," Brad Corona, partner at VVP, said in a statement. "The company is exciting because it has visibility on near-term commercial opportunities with pharmaceutical and lab partners, as well as long-term potential to change the front-end collection for virtually all diagnostics. Blood collection hasn’t changed in decades, and judging from the strong early interest from commercial partners, it’s time."